A dental implant vacation and relax in Puerto Morelos! You are here: Home / Blog / About Cancun and the Mayan Riviera / Get a dental implant vacation and relax in Puerto Morelos! Get a dental implant vacation and relax in Puerto Morelos! 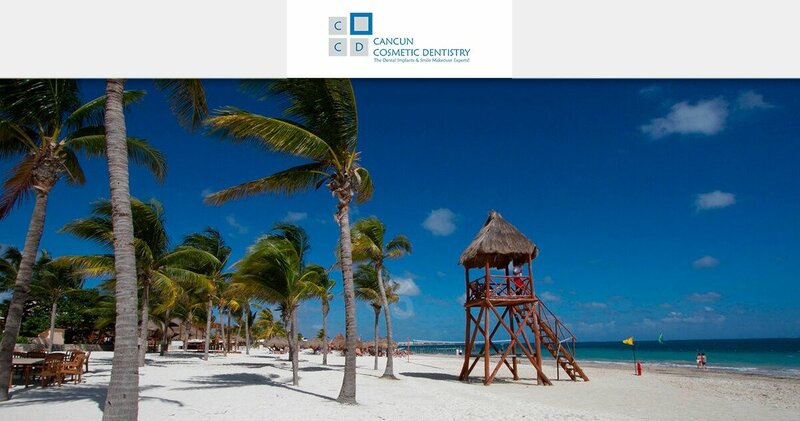 Many of our dental implant and smile makeover patients choose Cancun to relax during their recovery. They just got their new teeth (or are waiting for them), so what better way to spend the time than to enjoy what this paradise offers? While many like to go out to have an adventure tour, snorkel or stay on their all-inclusive hotels in Cancun, many other patients prefer somewhere quiet and relaxing with less people to spend their recovering days. For this reason, Puerto Morelos might the answer they were looking for! Located just 20 minutes from Cancun, Puerto Morelos is a small beach town. Starting only as a fishermen’s village its close location to Cancun eventually allowed it to grow on its own accord. Puerto Morelos is very different from Cancun and even Playa del Carmen, the crowning jewel of the Riviera Maya. Puerto Morelos still keeps the atmosphere of a small town where one can enjoy life at its own pace. The town square is a favorite place for locals to hang out near the pier and give long walks on the beach. There are several family run hotels and bed and breakfast hostels available close to the beach. Here you will also find fishing and snorkeling tours if you are interested. While you are there make sure to eat their delicious sea food from one of the beach front restaurants like a shrimp ceviche or even fish tacos with chips! This is the perfect opportunity to test your implant dentures or single implant. While we will require you to visit our dental clinic in Cancun during your treatment like crowns, All-on-4 and Snap in Dentures it is possible to stay in Puerto Morelos and grab a cab, get a rental or simply ask for a pick up. Our Dental Planners can coordinate with you and give you all the necessary information to plan your stay and assist you in making the necessary arrangements. If you want to know more about how to get a dental implant, implant dentures or simply where to stay during your dental vacation just call toll free from USA and Canada 1-800-565-1424, or if you are already in Cancun and want to meet us, you can call us for an appointment at the following local number (998) 1-40-51-25. Have fun on a boat on your dental vacation in Cancun! A new patient for life! Video review with another happy patient! Happy Patient got affordable dental care and smile makeover! Can secondhand smoke provoke dental caries in your children? Sinus Lift and Dental Implants in Cancun Cosmetic Dentistry Ready for you dental vacation in Cancun? Facts and travel tips here!